The water in Atlantic Creek in the remote Thorofare region of Yellowstone National Park was clear. So clear that Dave Sweet could see the fish before he even cast. They were everywhere: dozens of beautiful trout with distinctive red slashes under their jaws. Sweet had journeyed for two days on horseback to the major spawning tributaries of Yellowstone Lake for those fish. Over the next few days he and his daughter would see thousands of Yellowstone cutthroat trout and catch some as long as 25 inches. But just as exciting were the younger, smaller fish. They, Sweet realized, mark a turning point in a battle to save a species. Young cutts were a rare site even just a few years ago in the spawning streams in the Thorofare. Few lived long enough to make the trip. Most wound-up in the bellies of invasive Yellowstone Lake lake trout instead. Lake trout were discovered in Yellowstone Lake in 1994, said Todd Koel, leader of the native fish conservation program in Yellowstone. Someone likely introduced the fish intentionally into the lake. The park worked to suppress the invasive population as soon as it was discovered, but no one knew what its impacts would be, or how far it would spread. At times the efforts to save Yellowstone cutthroat trout seemed futile to some. 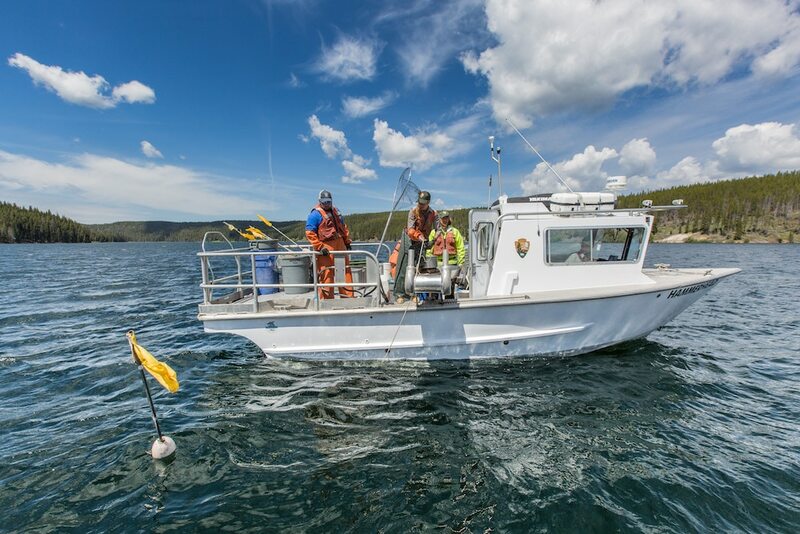 For the first time the boats netting lakers on Yellowstone Lake — one of the park’s lake trout removal methods — are catching fewer fish, despite a record six boats on the water, Koel said. Last year the boats removed almost 400,000 lake trout. As of early August they’d caught only 195,000 lake trout compared to 266,000 netted at the same time the year before. It’s nearly a 30 percent decrease. Since 1994, gill nets have removed almost 3 million lake trout from Yellowstone Lake. Most of those were taken in or after 2012 when the now-called Yellowstone Forever nonprofit committed $1 million a year to match the park’s $1 million annual suppression effort. 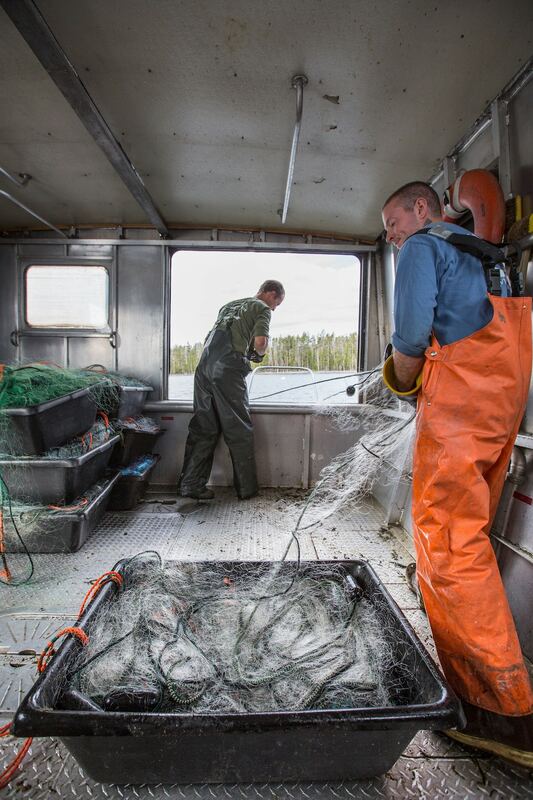 It was a game-changing amount of money that allowed the Park Service to augment its gill netting efforts with commercial fishing boats from the great lakes and invest in technology to find other ways to attack the invasive fish. Trout Unlimited helped raise money and built awareness of the issue from the outset, said Chris Wood, CEO and president of the nonprofit. Money raised funded transponders that researchers attached to “Judas fish.” Once tagged with the electronic devices the big spawners were released and tracked to spawning grounds where managers could kill laker eggs. 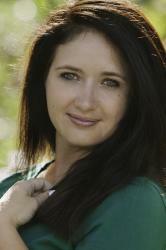 At its height in 2012, the lake trout population was estimated to be about 950,000, Koel said. It was bleak. The Yellowstone cutthroat trout population had plummeted by more than 90 percent at that point, Wood said. The lake trout population was estimated at 800,000 at the start of this year, an estimate that will shrink when the summer’s efforts are added to the data, Koel said. But more importantly the Yellowstone cutthroat trout have begun to thrive again in the lake and its tributaries. Conservation is usually a game of loss, Wood said. The story of the Yellowstone cutthroat trout is one of hope and optimism. But the battle is far from over. For long-term success the park will need to continue efforts to suppress the lake trout, Wood said. “The [cutthroats] are really coming back, but I think this is a moment where we really need to double down on our efforts and see if we can get those lake trout into a population crash,” Wood said. Koel agreed there is more work to be done. It is likely impossible to ever fully eradicate lake trout from Yellowstone Lake. Efforts to eliminate non-native fish from bodies of water have only been successful in experiments and not yet in the wild, Koel said. “It will probably be netting for a long, long time and killing the eggs at the spawning sites, but hopefully the netting can be reduced and strategic,” Koel said. The impact of fewer lake trout and more cutties is already being felt throughout the ecosystem. Koel traveled to Little Thumb Creek near Grant two summers ago to collect data on the fish and there were so many grizzly bears in the area feasting on spawning Yellowstone cutthroats that, Koel abandoned his efforts and left the stream to the bears. As for Sweet, who has worked with Trout Unlimited for a decade to help the fish recover, he’s always been “guardedly optimistic” about the future of the fish. “I was always a believer,” he said. Sweet caught his first Yellowstone cutthroat trout in the 1970s on a trip to Yellowstone from his home, which was in Colorado at that time. It was followed by many trips in the intervening years to cast for the iconic fish. Sweet moved to Cody in 1988 and heard about the lake trout discovery in 1994. But he didn’t fully appreciate the significance of the invasive species establishing itself in Yellowstone Lake until 2007, when his daughter, a fisheries biologist, introduced him to a park employee working on suppression in the park. Sweet ended up volunteering to gill net and then eventually chaired his local Trout Unlimited’s “Save the Yellowstone Cutthroat” committee. “To me there was no more important issue in cold-water conservation than helping that population,” he said. He remains optimistic, but is nervous about park Superintendent Dan Wenk leaving his post in the fall. 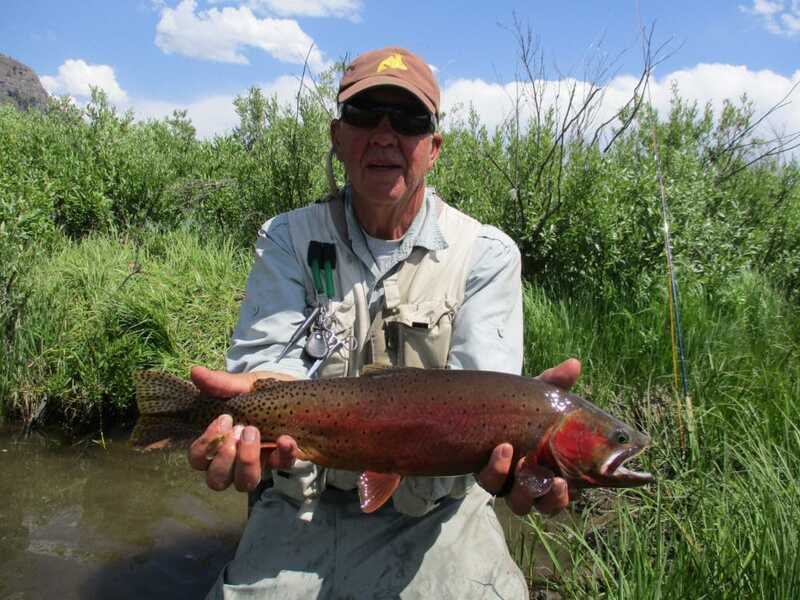 Wenk was a passionate champion of restoring the Yellowstone cutthroat trout. Without him as an advocate, the progress made wouldn’t have happened, Sweet said. Wenk’s replacement, Cameron Sholly, hasn’t indicated any changes in the lake trout suppression efforts, but change is unpredictable and Sholly’s priorities aren’t yet known. Some people wonder about the time and money that went into the effort and if it was a waste. For Sweet, and many others, the fish he found in the Thorofare proved it was all worth it. My sons and I fished Yellowstone Lake from the shore for about two hours right after opening day in June 1993. Caught 16 to 18 inch Cutthroats until we decided enough was enough. It was a wonderful, memorable experience which we all still recall with pleasure. Fifteen years later, I had the good fortune to fish Slough Creek, also a great cutthroat stream. These fish are, like the Park itself, national treasures. Many thanks to all who have been working to preserve these wonderful, native inhabitants of the Park. I remember fishing for Cutts in the 50s,, southeast arm, in about 16′ of water. Meant a long cold boat ride home in the evening to West Thumb boat launch (dating myself). I knew that Lakes were decimating the Cutts but I did not know that counteracting processes were being undertaken. Thanks for the report. Great update on the issue, Kelsey! Makes me want to head to the Thorofare! He must have seen Grizzlies? One little factoid that would be of interest is what they do with the Lake Trout that they net them? But this article sure brought me up to date! This is such good news, though so much more needs to be done. Fine reporting, Kelsey.